Available for bareboat charter. Based in Rogny-les-Sept-Écluses or Plagny, both on the Loire-Nivernais, France. 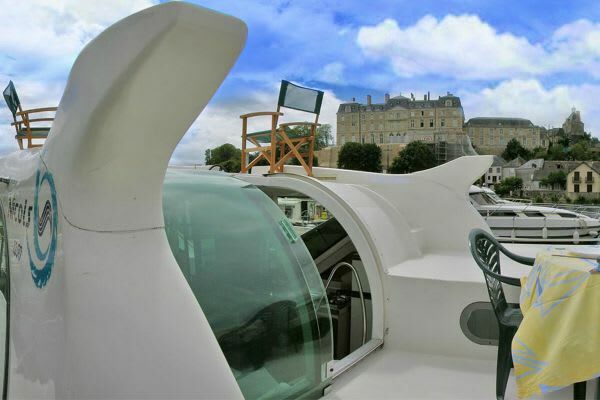 Charters are also available on the Grande Lago, Portugal. Capacity for 10 guests/crew. Prices start at €1071. 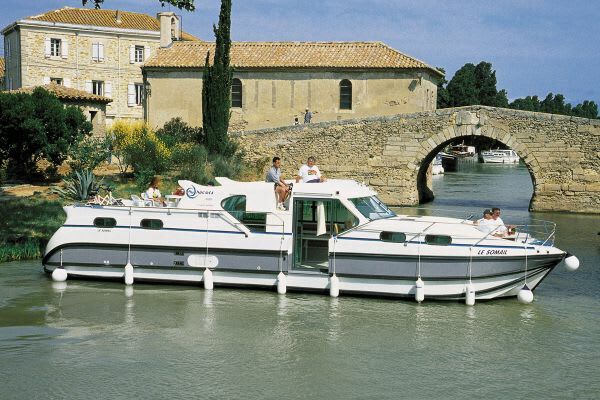 The 'Confort 1350' is a fantastic option for a large family or group seeking to explore France from the comfort of a luxury river cruiser. Four spacious double cabins (three of which have ensuite showers and toilets) would be perfect for four couples. 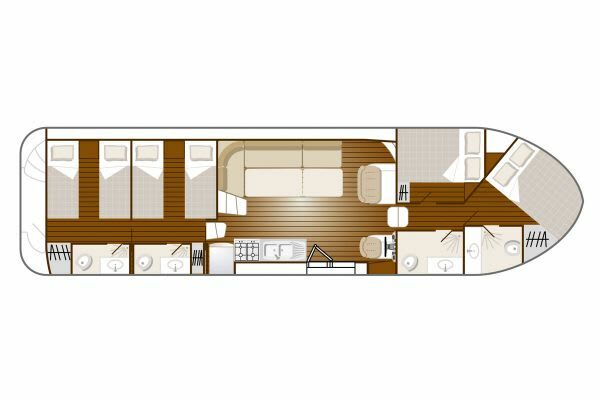 However, two cabins can convert their double-beds into two singles, making the 'Confort 1350' ideal for families too. 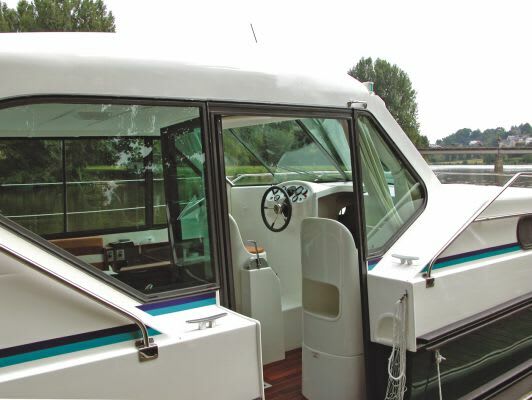 In addition, the saloon can be temporarily converted into a double berth, if required. A communal shower room / WC is available, in addition to the ensuites. 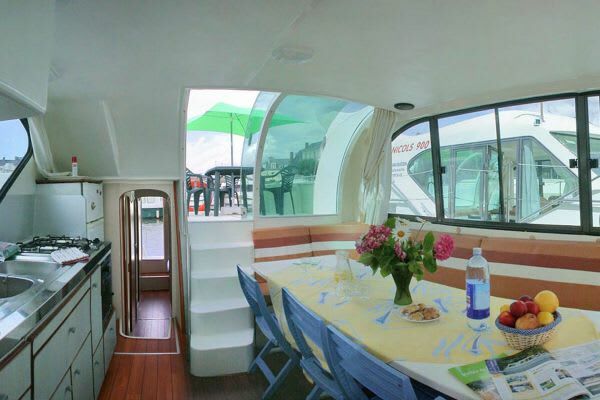 The galley comes fully fitted with a large fridge-freezer and an oven with 4 ring-hobs. 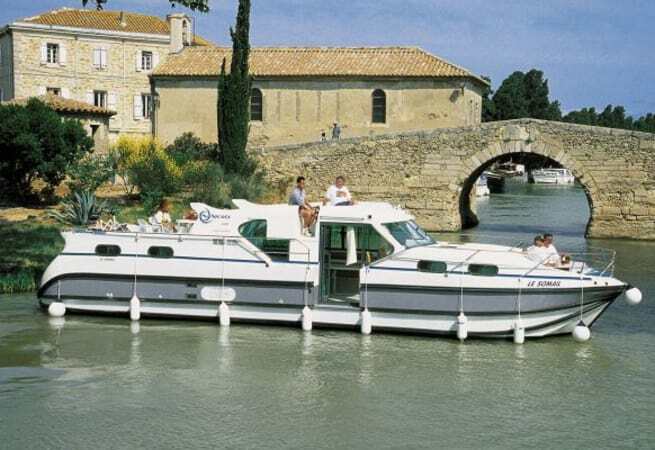 A second steering position can be found on the rear deck, as well as garden furniture for al fresco dining: perfect for experiencing all the sights France has to offer, from the doorstep of your own floating home-from-home.